As much sweetener as is physically possible to mix in. Must not list a sweetener as the first ingredient. 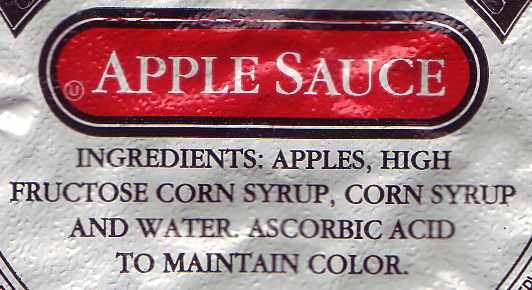 Notice how splitting the sweetener components between both High Fructose Corn Syrup and regular Corn Syrup allows Apples to be the first ingredient. I'm surprised they didn't use additional Apple Juice to further sweeten it.